We are from Portugal the world leader for cork and its products which we produce and export worldwide mainly our cork stoppers for wines & spirits bottling. In this context we would like to have a chance to contribute for the perfect sealing of your fine beverages, offering you a very competitive conditions from producer to producer in a just-in-time supply basis. We are ISO certified by Lloyds and Bureau Veritas and we invite you to visit our website www.ja-rolhas.pt in order you can better evaluate our products and operation. 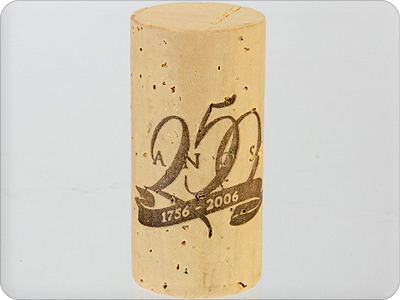 We would like to have your agreement to send you cork samples via DHL in order you can evaluate our qualities.